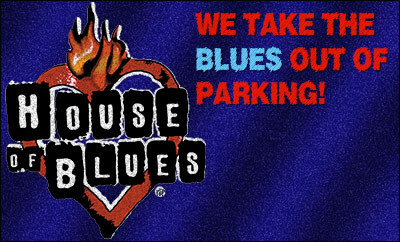 Parking.com has convenient parking near the House of Blues Cleveland. Click on a location name for parking information including rates, hours of operation, and entrances. House of Blues Cleveland is located in the old Wooldworth's department store building in downtown Cleveland. The venue plays homage to Cleveland's strong manufacturing history with special art pieces by local artist Peter Wood. In keeping with the House of Blues tradition, the venue also proudly displays the "Crazy Quit" and keeps a metal box of Mississippi mud underneath the stage. Visitors to the House of Blues can enjoy performances from national and local artists, in addition to food and drink from a specially designed menu by celebrity chef Aaron Sanchez.